← How happy are buyers with the buying process? What Is Your Credit All About? Understanding how your credit works is vital in today’s world. Nowadays, it seems that your credit matters more than how much cash you have in the bank. So here is a summary of what it’s all about. The three big credit agencies are Experian, Equifax, and TransUnion, also known as repositories. Each agency uses a scoring system from the information reported to them about consumers. TransUnion’s uses what is called a Vantage Score, while Experian and Equifax is FICO or Beacon. 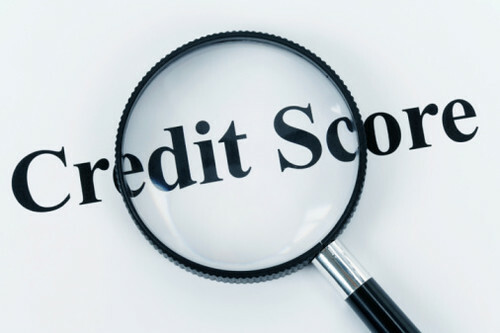 Within these agencies there are three types of credit reports that can be pulled. InFile: A single report, which is used by state licensing offices. TriMerge: A report from all three agencies on one report. Usually used by lenders. Factual Data: This was formally used by lenders and includes two or three agencies on one report with tradeline information that is independently verified. These scoring systems range from 300 being the worst to 850 being the best. However, in the real world a consumer won’t qualify for any loan with a score lower than 580; since that is the minimum score to qualify for an FHA loan. Fannie Mae (FNMA) and Freddie Mac (FHLMC) on the other hand requires a minimum score of 620. With that said, a borrower really needs to be over the 680 threshold to start getting into favorable pricing. A score of 740 would be considered an A minus if you were back in school, and anything over 760 is considered exceptional. A general rule of thumb would be that for every 20 points gained on a credit score, the consumer will received better pricing. Keep in mind, the person with the highest score always gets the best pricing, which results in a better interest rate. This saves the consumer thousands of dollars in the long run. Check in next week to find out what inquiries that show up on your credit report is all about, and why you don’t want them if at all possible. Not sure who to call or where to start? Contact me today for a 100% free no-obligation loan inquiry analysis. Posted on April 8, 2013, in Finance and tagged Beacon, Borrower, Credit, Credit Agency, Credit Score, Equifax, Experian, Factual Data, Fannie Mae, FHA, FHLMC, FICO, Finance Me, FNMA, Fort Myers, Freddie Mac, InFile, Lender, Loan, Matt Pell, Mortgage, Mortgage Warehouse, Property Guiding, Real Estate Financing, Repositories, SWFL Real Estate, The Mortgage Warehouse, TransUnion, TriMerge. Bookmark the permalink. Leave a comment.